Generally speaking, sharing broadband with others, users always occupy broadband during a fixed period, for example, from getting at home from work till going to bed. If you want to download something at this time, the download speed might never be fast. The question is how to avoid the peak time to download under the limited-broadband condition. Is there any method to manage the downloading period? The answer is positive. 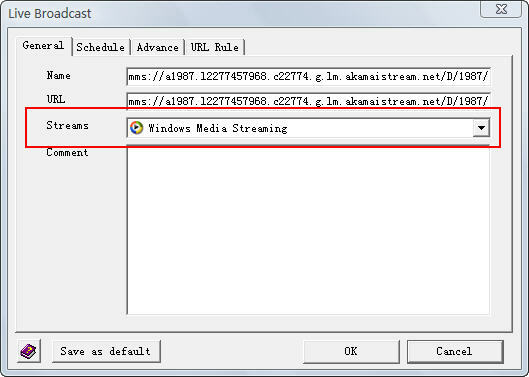 HiDownload Live Manager allows you to schedule the time period of downloading live stream. Due to this function, the live streaming/live broadcast download can be confined within a certain period too so that a specified program, radio station and music to be broadcast in the future can be downloaded automatically. How to manage the download time period of live broadcasting? 1. Download and install HiDownload. Run it. 2. Select "Live Manager" , click "Add" button. 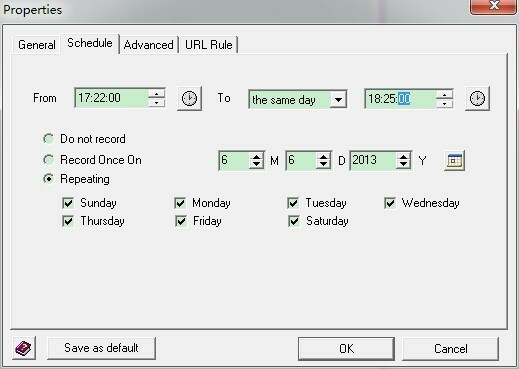 During this period, as shown in the picture, from 17:22 to the same day 18:25, Hidownload will execute Recording function in the future. And you can set up it to "Do not record ", "Record Once on" or "Repeating". 5. Click button and add to Live broadcast List. 6. Select the live broadcast in list, and click "start download" button .